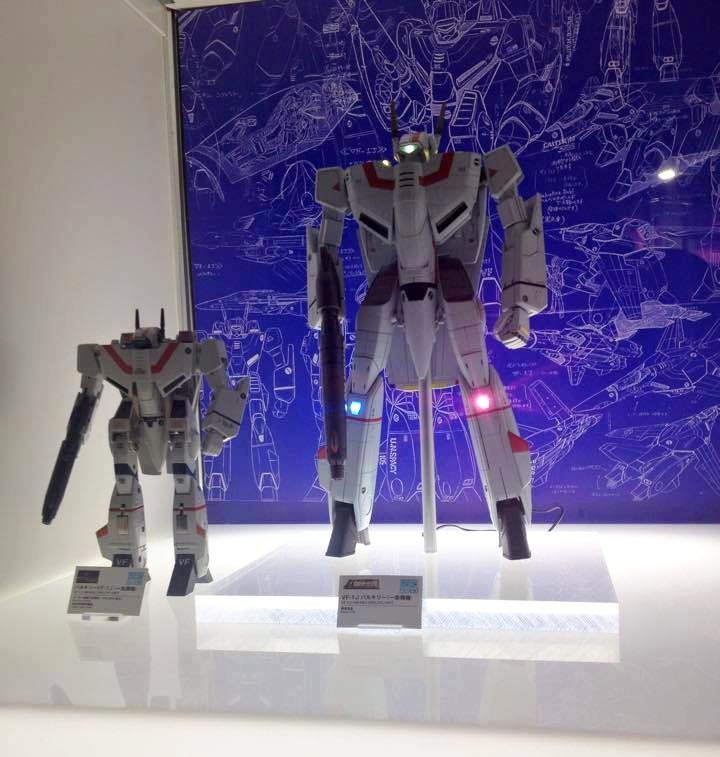 Bandai teased a massive 40 centimeter tall (roughly 1/35 scale) DX Soul of Chogokin VF-1J Valkyrie. Will feature LED lights. More details are to be announced. Beautiful, just what I've always wanted. Hope it doesn't transform though, would much prefer a hyper detailed Battroid, over a massive and cumbersome transforming toy, would probably help keep the cost down too. Would be something special if removable panels exposing the inner mechanics was incorporated. Anyway, that's if we even see this get manufactured, wouldn't surprise me if this just to help drive the current fervour with their Hi-Metal R line. Look... Lights...COOL...It looks HUGE! !...wish the feet were a bit bigger...does he need that ROD up its AZZ? Hopefully he transformers or has other GIMMICKS!! The price of this will be scarier than anything Halloween has to offer. Bet it's 500-600 like the SOC DXs.